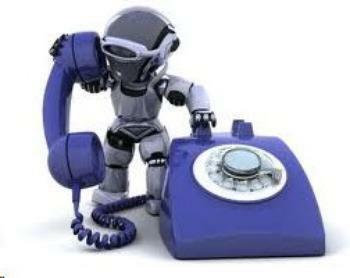 Indiana has struck a blow against robocalls, even those carried out by non-profit organizations. The U.S. Supreme Court declined to review a lower court's ruling that upheld the Hoosier state's anti-robocall law, which bars pre-recorded messages sent to consumers' phones without their consent. Consumers are steamed about a lot of things old and new, but old-fashioned telemarketers and do-not-call violations were the fastest-growing complaint category in 2013, according to an annual survey (pdf) of state and local consumer protection agencies conducted by the Consumer Federation of America (CFA) and the North American Consumer Protection Investigators (NACPI). “Despite the national do-not-call registry, strict rules concerning robocalls, and other protections, unwanted and fraudulent phone calls are still plaguing American consumers,” Susan Grant, Director of Consumer Protection at CFA. Technology is a major factor. “Internet phone service, Caller ID spoofing software, prepaid cell phones that scammers buy anonymously and discard, auto-dialers and other technology make it easy and inexpensive for crooks to contact U.S. consumers from anywhere in the world,” said Amber Capoun, NACPI President and a Legal Assistant in the Office of the State Banking Commission in Kansas. CFA and the NACPI surveyed general-purpose consumer protection agencies at the city, county and state level about the top, worst, and fastest-growing complaints in 2013. Forty agencies from twenty-three states responded. Fraud Bogus sweepstakes and lotteries, work-at-home schemes, grant offers, fake check scams, imposter scams and other common frauds. One of the biggest challenges that the agencies faced was keeping up with the evolving marketplace, especially dealing with scammers targeting U.S. consumers from other countries. The technologies that are used to mask callers’ real identities and locations make telemarketing fraud and abuse particularly challenging for state and local consumer protection agencies to deal with, especially when the culprits are overseas. “Stepped up telemarketing enforcement and partnerships between federal, state and local agencies are crucial to investigating and prosecuting these cases,” said Capoun. A jury in Greenboro, N.C., has awarded plaintiffs with a $20.5 million verdict against DISH Network. The class action case stems from alleged violations of the Do Not Call law. Our story last week about ways to reduce the growing number of unwanted telemarketer calls to cell phone numbers triggered a lot of response from readers. No surprise there since hatred of telemarketers seems to be a universal bond. Several used our story as a jumping-off point to talk in the comments section about telemarketers in general and trade ideas for dealing with them. We thought some of the discussion was worthy of passing along. 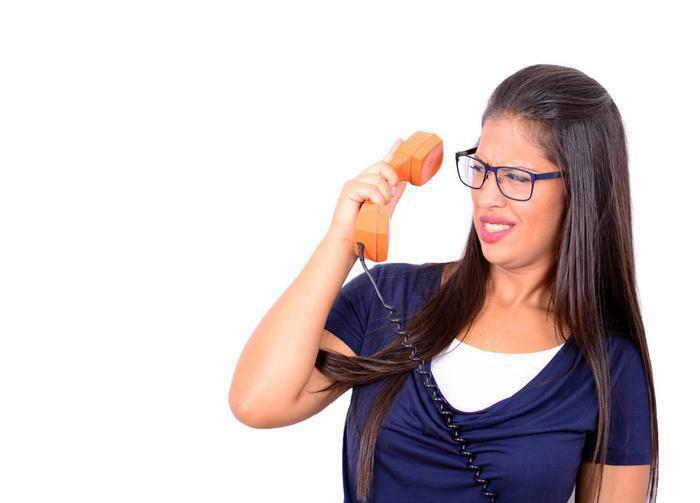 A reader named Greg says his answer to telemarketers is to go on the offensive. He says you have to let your creativity flow. “Start by asking if they were raised by a good family who taught them right from wrong, and if so why are they knowingly working for a criminal organization” he writes. Other times he says he tells them he works for the Federal Trade Commission (FTC). If it sounds like Greg spends a lot more time talking to telemarketers than most people want to do, he does. But he says there’s a point to that. Engaging telemarketers is a common tactic. A retired Baptist minister listens patiently to any telephone pitch, then asks if he can talk with the caller about his or her personal relationship with Jesus. The elderly gentleman says he is rarely called twice by the same telemarketer. The assumption of many readers posting comments is the FTC’s Do Not Call list “doesn’t work.” Otherwise, why would they be getting so many calls? A reader named Larry set them straight. “Any organization that is out to scam you will simply ignore the Do Not Call List and there is nothing the FTC can do about it,” Larry writes. Exactly. Scammers out to steal your money usually operate outside U.S. borders and have nothing to fear from the FTC. But legitimate U.S.-based businesses have to respect the Telemarketing Sales Rule or face potential sanctions. Registering your number won’t stop all the calls but will reduce them. David pointed out that if you listen to the end of a telemarketer’s call, it will ask you to press a number if you want to be taken off that particular caller’s list. But Joel responded that would be a mistake. “This alerts the caller it’s a real number and somebody will answer it and resells your number to hundreds of other scam artists,” Joel warns. A reader named Earl suggests making telemarketing a capital crime, suggesting any candidate making that a plank in his or her platform would win in a landslide. Here are a few points our readers need to keep in mind. Even if your number is on the Do Not Call list, charities, political organizations and pollsters are allowed to call. Also, if you have initiated contact with a business, it is allowed to follow up with telemarketing calls for 18 months after your last purchase, payment of delivery. Engaging with a telemarketer who is an obvious scammer might sound fun but might not be a good idea. There’s no need to antagonize a criminal. As for pranking a legitimate telemarketer, let’s face it, not everyone is Jerry Seinfeld. When calls come in from people you don’t want to talk to, simply hang up. If you have Caller ID and the number is blocked or is unfamiliar, just let it go to voicemail. Sooner or later, they’ll take the hint. The Federal Trade Commission and the Florida Attorney General are charging a New York company, Lifewatch, Inc., with using illegal and deceptive robocalls to trick older consumers into signing up for medical alert systems with monthly monitoring fees ranging from $29.95 to $39.95. 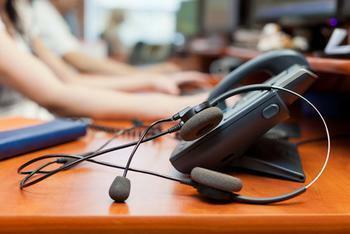 Last year one of Lifewatch’s telemarketing firms, Worldwide Info Services, agreed in a settlement to be banned from making robocalls or engaging in other deceptive conduct. Now the FTC and Attorney General allege that Lifewatch knew of, and is responsible for, the illegal activities in that case, and that Lifewatch simply continued its telemarketing campaign using a variety of other telemarketers after Worldwide was shut down. Lifewatch, Inc., is not affiliated with Lifewatch Services, Inc., of Rosemont, Ill., officials of that company noted. 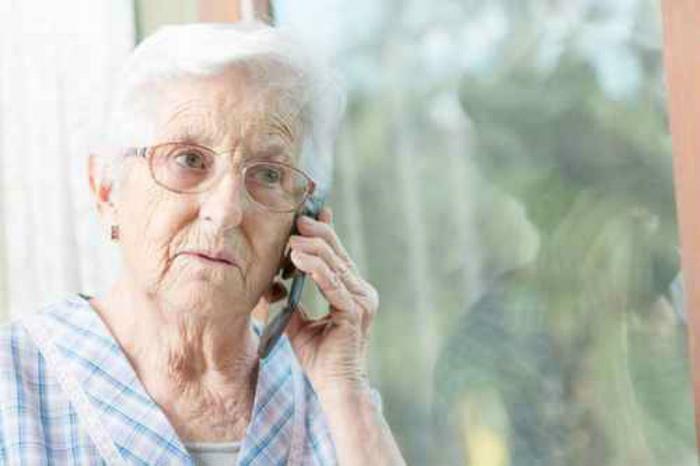 According to the joint complaint, since 2012 Lifewatch has been bombarding consumers – primarily elderly ones – with millions of unsolicited robocalls. Consumers who press a number to speak with a live operator are told that even though the system costs over $400, they will get it for free. However, the telemarketers refuse to answer questions about who bought the system for them, and tell consumers the offer is only good for one day. Telemarketers often use the well-known phrase, “I’ve fallen and I can’t get up” or tell consumers they may have seen the product on television, to add an air of legitimacy to the sales pitch. Eventually, consumers are told they will be responsible for a monthly monitoring fee and that they must provide their credit card or bank account information. They often also are told that they will not be billed until they receive and “activate” the system, although they actually are charged almost immediately. Those who later realize they have been tricked discover that it is very difficult to cancel, and are told they have to pay to return the system or pay a $400 penalty, according to the complaint. Many of the consumers the defendants called have fixed or limited incomes or rely on family members or health professionals to make financial decisions on their behalf, the complaint states. The agencies are seeking a preliminary injunction to stop the defendants’ use of illegal robocalls and deceptive telemarketing claims, as well as funds for eventual restitution to victims. The Federal Trade Commission has filed suit in federal court to halt a scam that drained millions of dollars out of thousands of consumers' checking accounts for "discount pharmacy cards" the consumers didn't know about, didn't order, and didn't get. The FTC estimates that as many as 90,000 consumers were victims. U.S. District Court Judge Robert Clive Jones has issued a temporary restraining order to halt the scam and freeze the defendants' assets. The FTC will seek a permanent ban on the scheme and request that the frozen funds be preserved for consumer redress. In papers filed with the court, the FTC charged that since January 2004, defendants using the name "Pharmacycards.com" electronically debited thousands of consumers' accounts for $139, without consumers' knowledge or consent. Prior to the unauthorized debiting of their checking accounts, consumers had no contact with the defendants. According to the FTC, the defendants attempted to debit more than $10 million from consumers' checking accounts in less than three months. The FTC alleges that the defendants gained access to the banking system via third-party payment processors by claiming that they were engaged in a legitimate business selling pharmacy discount cards. Their Web site touted the benefits of their cards and advertised retailers such as Target and Wal-Mart that participated in the discount program. The Web site also listed a toll-free customer service number and a mailing address in Canada. According to the FTC, the major retailers' logos were hijacked they didn't participate in the program. The mailing address was false and mail sent to the address was returned. Some consumers received letters after money had been withdrawn from their account explaining the program and saying that because the consumer had previously purchased a product from one of the defendants' "marketing partners" using their checking account, the consumer did not need to provide the account number again. The letter said that consumers who were not interested could call the toll-free customer service number to cancel within five days of receiving the letter. By this time, the money already had been debited from their accounts. According to the complaint, the defendants provided consumers' checking account numbers to the third-party payment processors with whom they had contracts. One processor alone debited more than 72,000 checking accounts for the defendants, generating more than $10 million in attempted debits. While more than 50,000 of those transactions were cancelled or returned, many other consumers were unaware of the transaction or unable to have it reversed, and $139 was removed from their accounts without their authorization. The FTC alleges that the scam violates federal law and will ask the court to order a permanent halt to the practices and order consumer redress. The FTC advises all consumers to regularly review their bank statements and quickly dispute any unauthorized charges. Defendants in the case are 3rd Union Card Services, Inc., doing business as Pharmacycards.com, a Delaware Corporation; Helmcrest Ltd., a company incorporated under the laws of Cyprus, doing business as Pharmacycards.com; David Graham Turner, and Steve Pearson. Operators of an illegal robocall scheme that falsely told consumers they could get refunds from the Federal Trade Commission (FTC) on their behalf have been put out of business -- for good. According to an FTC complaint, the operators of The Cuban Exchange “spoofed” the agency's own toll-free number on consumers’ caller ID and misled more than 13,000 people into believing the operation had a connection with the FTC and could help them get refunds from the commission. The FTC called the claims a ruse, known as “imposter fraud,” that was designed to trick consumers into providing their personal information and bank account numbers. The operation also did business as CrediSure America and MyiPad.us. A default order and final judgment entered by the U.S. District Court for the Eastern District of New York permanently bars The Cuban Exchange and its principal, Suhaylee Riviera, from making misrepresentations in connection with the marketing or sale of any goods or services. Among other things, the order prohibits defendants from claiming an affiliation with, or endorsement by, the FTC, or claiming that they can obtain refunds from the commission on behalf of consumers. The judgment also bars the defendants from making illegal robocalls and calling consumers whose phone numbers are on the Do Not Call Registry. Finally, it permanently shuts down the websites that were used in the scheme -- including ftcrefund.com -- and prohibits defendants from starting any new website that advertises an ability to provide government refund services. Five individuals and their company, NHS Systems, Inc., have been banned from telemarketing, charging consumers’ bank accounts, and making false and misleading statements. The judgment, entered by U.S. District Court Judge Juan R. Sánchez at the request of the Federal Trade Commission (FTC), also requires them to pay almost $6.9 million -- the amount their scheme took from defrauded consumers. 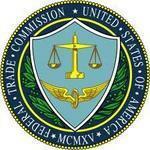 The FTC filed its complaint as part of ‘Operation Tele-PHONEY,’ a 2008 crackdown on deceptive telemarketing. An amended complaint filed in 2009 accused the defendants of using third-party telemarketers to unfairly and deceptively market and charge consumers for one or more discount health programs. The telemarketers allegedly led consumers to believe they were from, or affiliated with, U.S. government agencies, including the Social Security Administration, the Internal Revenue Service, and Medicare, the complaint states. Consumers were told that they would receive substantial deposits into their bank accounts -- in the form of grants, tax refunds, or tax rebates -- if they first provided their account or credit card information. In many instances, the callers told consumers that they had been unconditionally selected. Medicare beneficiaries were told, in some cases, that they had to provide their financial information to continue receiving their benefits. In other cases, the defendants charged consumers’ financial accounts without any notice and without their authorization. Consumers often were charged $29.95 to receive health care information, $299.95 to enroll in the program, and $19.95 per month thereafter, finding themselves in a “discount health care program” they never agreed to purchase. The court found that the conduct of the NHS defendants, was unfair, as it “caused and was likely to cause substantial financial injury to the consumers.” It also determined their conduct was deceptive and that the telemarketers made the alleged misrepresentations to consumers, in violation of the FTC Act. using audio authorizations that did not comply with the Rule. 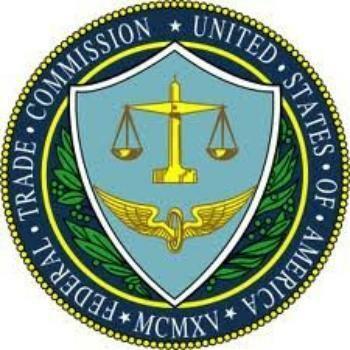 The Federal Trade Commission (FTC) wants to take away some of the favorite tools that fraudulent telemarketers use to separate consumers from their money. Stop telemarketers from dipping directly into consumer bank accounts by using unsigned checks and “payment orders” that have been “remotely created.” These instruments can make it easy for unscrupulous telemarketers to debit bank accounts without permission, according to the FTC. Bar telemarketers from getting paid with traditional “cash-to-cash” money transfers, as well as “cash reload” mechanisms, that scammers rely on to get money quickly and anonymously from consumer victims. Unscrupulous telemarketers rely on these payment methods, according to the agency, because they are largely unmonitored and provide consumers with fewer protections against fraud. The FTC’s proposed changes would make it a violation for telemarketers and sellers to accept any of these payment methods in any telemarketing transaction. The proposed changes also would expand the TSR’s ban on telemarketing “recovery services” in exchange for an advance fee. The commission found that telemarketers who call consumers offering to help recover losses they suffered through an earlier fraud are often engaged in deceptive practices. The ban, which is currently limited to offers to recoup losses suffered in a prior telemarketing transaction, would be expanded to include offers to recoup losses suffered in any prior transaction. Other proposed amendments to the Rule would clarify and improve various provisions of the TSR, which requires certain disclosures and prohibits misrepresentations during telemarketing calls. It also bars abusive practices, including charging up-front fees for certain services such as credit repair, recovery services, and loan or credit offers presented as “guaranteed” or having a high likelihood of success. Previous amendments to the TSR created the National Do Not Call Registry, curtailed telemarketing calls that deliver prerecorded messages, and combated deceptive and abusive telemarketing of debt relief services. If you would like to comment on the proposal, you may do so using this form. The Federal Trade Commission has been cracking down on illegal robocallers and today it announced that two more companies have agreed to settle charges that they used prerecorded calls to trick consumers into deceptive credit card interest rate reduction scams. Under separate proposed settlements, the defendants behind Treasure Your Success andAmbrosia Web Design will be banned from telemarketing and delivering robocalls. They also will be permanently prohibited from advertising, marketing, promoting, or offering to sell any debt relief product or service, or assisting others in doing so. In its original complaint against Treasure Your Success, the FTC alleged that the defendants tricked consumers into paying up-front fees of as much as $1,593, using deceptive offers for credit card interest rate reduction services. The complaint named two individuals, Willy Plancher and Valbona Toska, as well as their three companies, WV Universal Management, Global Financial Assist, and Leading Production. The defendants began marketing credit card interest rate reduction services in 2010. According to the FTC’s complaint, the defendants lured consumers by telling them they could substantially reduce their credit card interest rates, down to as low as three percent, in many instances. After collecting the upfront fees, however, consumers typically failed to get any interest rate reduction or any savings at all. In November 2012, at the FTC’s request, a federal court halted the scheme and froze the defendants’ assets pending further court proceedings. The proposed order holds the defendants liable for $2,032,626, based on the amount of consumer injury in the case. Due to the inability of the individual defendants to pay redress, the monetary judgment has been suspended. However, if the defendants misstate or fail to disclose any of their material assets, the full amount of the judgment will be immediately due and payable. According to the FTC’s complaint, the Ambrosia Web Design defendants delivered prerecorded calls that urged consumers they called to “press one” if they were interested in credit card interest rate reduction services. Consumers who pressed one were connected to a telemarketer who promised to get them very low interest rates or, in some cases, specific amounts of interest savings. The defendants often deceived consumers into thinking defendants were affiliated with a government program. If consumers agreed to sign up, the telemarketer got their credit card information, often charging an illegal advance fee before providing any service, the FTC alleged. The FTC alleged that defendants then typically failed to deliver on their promises. In addition, the FTC charged defendants with failing to disclose their purported no-refund/no cancellation policy and billing some consumers without their express authorization. Finally, the FTC alleged defendants illegally called many phone numbers on the National Do Not Call Registry. 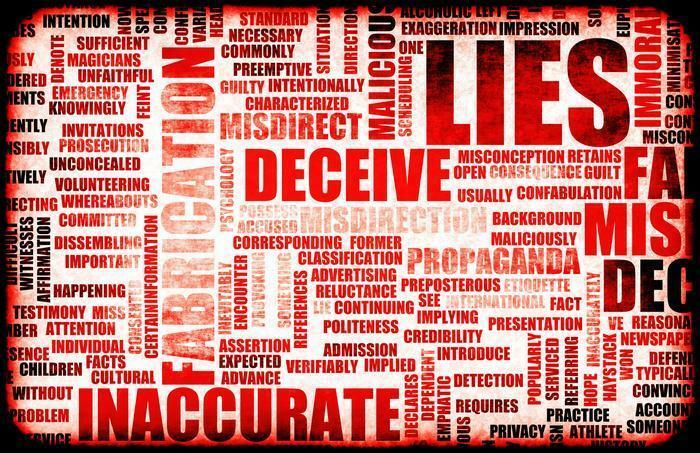 Prohibits the defendants from misrepresenting the efficacy of a product or service. The proposed settlement requires the defendants to liquidate virtually all of their assets, including a valuable watch and a sports memorabilia collection. It also includes a judgment of $8.3 million, which will be suspended if defendants comply with the terms of the settlement. A Canadian telemarketer and four companies he owns are under court order to pay more than $5.1 million to U.S. and Canadian consumers who were duped into paying hundreds of dollars based on false claims that the defendants had buyers lined up for their cars, and that refunds would be provided if the cars weren’t sold. The court also permanently banned the defendants from telemarketing and payment processing. According to the Federal Trade Commission’s (FTC) complaint against Matthew J. Loewen and his companies, the defendants called consumers who listed vehicles for sale on websites such as craigslist.org or ebay.com. The defendants falsely claimed that, in exchange for a fee -- typically $399, they would put the consumer in touch with a buyer, often telling consumers they had undervalued the vehicle and that the price the buyer was willing to pay would cover the defendants’ fee. The defendants also offered $99 “refund insurance,” falsely promising consumers who purchased it a risk-free refund of their initial fee if the vehicle was not sold in 90 days. The Court also noted that, in order to evade detection, the defendants operated under a series of ever-changing corporate names (including Auto Marketing Group, Secure Auto Sales, and Vehicle Stars). It also cited the defendants’ high rate of credit card chargebacks -- in which consumers dispute charges and get them reversed -- as further proof of the fraudulent nature of the defendants’ operation. In addition to the Order requiring Loewen and his co-defendants to pay $5.1 million, the court permanently banned Loewen and his companies from telemarketing and payment processing. The court order also permanently prohibits the defendants from misrepresenting any material fact in selling used cars, including that they have identified potential buyers for a consumer’s vehicle and that, for a fee, they will put them in touch with the buyers. The defendants are also barred from misrepresenting that those who buy their services are highly likely to sell their vehicle, and that some or all of the initial fee will be refunded if the consumer buys a refund insurance policy and the vehicle is not sold within some period of time. The order also bars the defendants from misrepresenting material facts about any goods or services, selling or otherwise benefiting from consumers’ personal information, failing to properly dispose of customer information, and violating the Telemarketing Sales Rule. Illegal robo calls and debt collector harassment targeting your cell phone are a pain, but an Arkansas technology company says they could be money in the bank. PrivacyStar offers a free Android app that identifies incoming calls from a list of known debt collecting and telemarketing companies, giving users an easy option to block them. If they persist, the app provides economic opportunity. Jonathan Sasse is chief marketing officer at PrivacyStar. He says the app is built around the protections contained in 2 laws – the Telephone Consumer Protection Act (TCPA) and the Fair Debt Collection Practices Act (FDCPA). Sasse says the laws provide for compensation up to $1,500 per illegal call. He says it can add up quickly if a consumer is being harassed. The app started out as a way for consumers to screen or block unwanted telemarketer and debt collector calls. Then the company added another wrinkle – an easy 2 step process to file a complaint about the illegal calls to either the Federal Trade Commission (FTC) or the Federal Communication Commission (FCC). The company says it identifies and blocks tens of millions of unwanted phone calls every month while delivering over 100,000 complaints against offending callers directly to the FTC. But some consumers found simply complaining unsatisfying, especially if the calls continued. That's when PrivacyStar added the third wrinkle – referring consumers with repeated illegal calls to experienced consumer lawyers in their area. With the documentary evidence provided by PrivacyStar, the lawyer could approach the offending company and presents the evidence. Sasse says the companies almost always settle. He says they also settle because of the documentary evidence and because the laws are so clear about what the violations and penalties are. How much can a consumer receive? Not unheard of, but not the norm. Rather, Sasse says an average settlement is in the thousands – sometimes tens of thousands – of dollars. PrivacyStar contacts the consumer if it thinks he or she has a case. It is up to the consumer to decide whether to pursue a legal remedy. Increasingly, courts are holding abusive debt collectors accountable. As we reported last month a Missouri jury awarded a woman $83 million after a debt collector wrongfully sued her to collect a debt that belonged to someone else. Sasse says it is the 2 laws that give consumers the power to take on abusive telemarketers and debt collectors. Consumers just have to use it. In Washington, the Federal Communications Commission (FCC) is poised to make a highly controversial move that some say would have a deep impact on consumers. Oh, you're probably thinking of the proposed net neutrality rules that would regulate the Internet as a public utility. True, plenty of people are worked up over that. But while changing the regulatory structure of the Internet has gotten all the attention, another proposal has been quietly making its way toward final action. The measure before the FCC, supported by the banking industry, would make changes to the Telephone Consumer Protection Act (TCPA) of 1991. Under current telecom law, telemarketers cannot use robocalls or robo texting to reach consumers on their cell phones unless the consumer has given prior consent, in writing. The American Bankers Association (ABA) and the Consumer Bankers Association (CBA) are seeking changes to the TCPA to create two exceptions to the ban on robocalls to consumers’ cell phones. The first exception clears the way for automated calls and messaging to alert consumers of fraudulent activity on their accounts. The second exception would protect banks if automated calls or messaging is directed to cell phones of consumers who had not given their consent. Banks couldn't be held liable unless it could be proved it wasn't an accident – that they did it on purpose. “Allowing specific industries to carve out exceptions to an important consumer protection law is a slippery-slope, which is why we’re asking the FCC to stop these proposed changes,” said Missouri Attorney General Chris Koster, one of several state attorneys general asking the FCC to refrain from changing its rule. 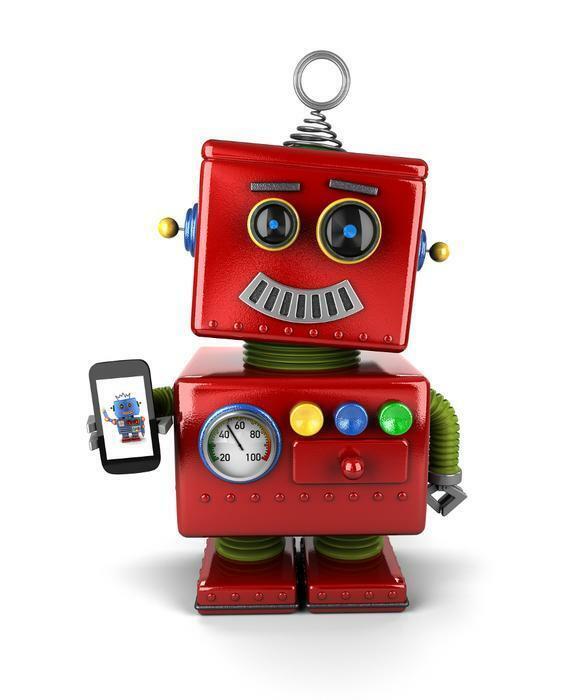 The law now allows consumers to opt-in to robocalling or robo messaging for fraud alerts. Koster says there is no reason to change the current system because it works. He's joined by Indiana Attorney General Greg Zoeller, who has met with FCC officials to underscore his concerns. The TCPA is only one of two federal laws protecting consumers from unwanted telemarketing calls. Under the TCPA, automated calls or “robocalls” and text messages to consumers’ cellphones are not permitted unless the consumer has given “prior express consent” and the state law enforcement officials want it to stay that way. The state of Florida and the Federal Trade Commission (FTC) have gone to federal court to temporarily shut down an Orlando-based telemarketing operation. Florida Attorney General Pam Bondi says the telemarketer used robocallers to blast consumers with massive campaigns that tried to dupe people into purchasing “worthless” credit card interest rate reduction programs. Bondi says her office, along with the FTC, obtained an order stopping the calls, many of which allegedly targeted seniors and claimed to represent credit card services and card member services. “These scammers were making illegal robocalls to people nationwide, some of whom were seniors on fixed incomes,” Bondi said. According to the attorney general, consumers were told that they were purchasing services, but none were delivered. Adding insult to injury, she says the telemarketers placed unauthorized charges for other things on victims' credit cards. “My office, in partnership with the FTC, has shut down this illegal credit card interest rate reduction scam and brought those responsible under the control of a federal court receiver," she said. Jessica Rich, Director of the FTC’s Bureau of Consumer Protection, says robocallers are a special menace to older consumers. “It’s illegal to sell products or services with out-of the-blue robocalls, and if you get one you can expect that the sales pitch is a lie, too,” Rich said. The defendant is identified as Payless Solutions, and Bondi charges that it illegally called thousands of consumers across the country, claiming that its program would quickly save consumers at least $2,500 in interest rate reductions or related savings. If the telemarketers could convince consumers to sign up for the plan, they were then required to provide credit card information. Bondi says once they had that all-important information, the defendants then charged between $300 and $4,999 in up-front costs for the worthless services. In some cases, consumers were illegally charged without consent. The complaint also claims that the defendants made a large number of calls to consumers whose phone numbers are on the FTC’s National Do Not Call Registry, a violation of the federal Telemarketing Sales Rule and Florida’s Telemarketing and Consumer Fraud and Abuse Act. The telemarketers were also accused of using consumers’ personal information to apply for new credit cards, usually without their knowledge or consent. If you answer the phone and hear a recorded message instead of a live person, it's a robocall. The FTC says it has recorded a significant increase in the number of illegal robocalls because of technology. The agency says internet-powered phone systems allow scammers to make cheap and easy illegal calls from anywhere in the world, and to hide from law enforcement by displaying fake caller ID information. That's why you get these calls even if your number is registered on the Do Not Call list. If your number is registered and you get one of these calls, you can bet whatever is being pitched is bogus. However, not all of these scammers are outside the jurisdiction of U.S. law. To date, the FTC has brought more than 100 lawsuits against over 600 companies and individuals responsible for billions of illegal robocalls and other Do Not Call violations. To fight back, the FTC is woking with developers to design tools that block robocalls and help investigators track down and stop them. Builders of a mobile app that blocks and forwards robocalls to a crowd-sourced honeypot are the big winners in the Federal Trade Commission (FTC) Robocalls: Humanity Strikes Back contest. A honeypot is an information system that may be used by government, private, and academic partners to lure and analyze robocalls. The $25,000 cash prize went to Ethan Garr and Bryan Moyles, who created a solution called RoboKiller, which relies on universally available call forwarding that works on both landline and mobile phones, and uses audio-fingerprint technology to identify robocalls. RoboKiller gives consumers greater control over how and when they receive calls by sending robocalls to a SpamBox that consumers can access at any time. It utilizes consumer-controlled white and black list filtering, and provides personalized setting options. DetectaRobo contestants analyzed call data from an existing robocall honeypot and developed algorithms that identified which calls in the data set were likely robocalls. The winning teams employed similar strategies in examining particular data categories such as temporal information and area codes, and applied machine learning techniques. At the request of the Federal Trade Commission (FTC), a federal district court in Chicago has shut down an international robocall ring that allegedly conned consumers out of $995 each. According to FTC, the ring promised that it would reduce consumers' credit card interest rates, but provided little or nothing in return.